Hailey Baldwin and Justin Bieber: Yes, We’re Married! Justin Bieber and Hailey Baldwin have reportedly put an end to one of the weirder controversies in recent memory. Simply put: Yes, the stars are married. We never thought we’d have to clarify such a thing about such a famous couple. But Bieber and Baldwin have remained oddly coy ever since entering a New York City courthouse a few weeks ago and… maybe tying the knot? Maybe just obtainining a marriage license? This has been the question ever since: Are they actually husband and wife or not?!? On Wednesday, a woman named Nona Melkoni told Us Weekly that she sat next to Bieber and Baldwin at the restaurant at Joan’s on Third in Studio City. And she evidently took it upon herself to play investigative reporter. Wow. So there we have it, we guess. Earlier this month, we reported that the pair had, indeed, exchanged vows inside the aforementioned courthouse and even that Baldwin was pregnant with Justin’s child. We now stand by the first half of that sentence, but we cannot verify the second half. Previously, insiders have claimed that Baldwin and Bieber did not want to acknowledge their status until they had a religious marriage ceremony. They almost didn’t even view the legal side of their arrangement as “counting,” if that makes any sense. At some point down the line, Hailey and Justin will have a far bigger ceremony and reception. They will be married by a priest, presumably, and celebrate with all their family members and loved ones. It’s simply unclear exactly when this will happen and exactly why they went the courthouse route to begin with. What’s crystal clear, however, is how in love the singer is with the model. Sorry, ladies, but it’s true. After rekindling their romance in June, Bieber and Baldwin stunned the world when they got engaged in July. Due to the witness account outlined above, the question no longer seems to be whether Baldwin and Bieber are married. Instead, attention now turns to whether the latter will make the former sign a postnuptial agreement in order to protect his giant fortune. It’s been estimated at $ 250 million. 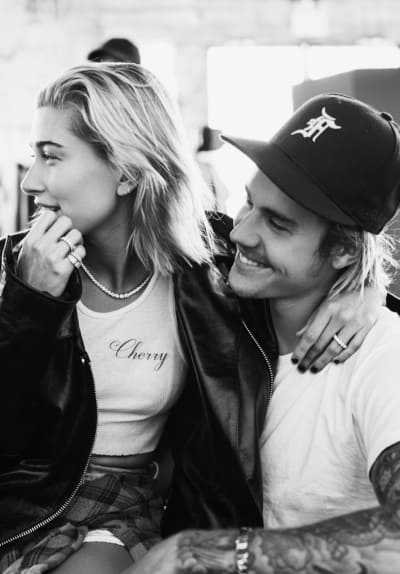 We know Justin is head over heels over head again in love with Hailey and everything… but we’ve simply seen too many celebrity marriages fall apart. Make her sigh the document, dude.